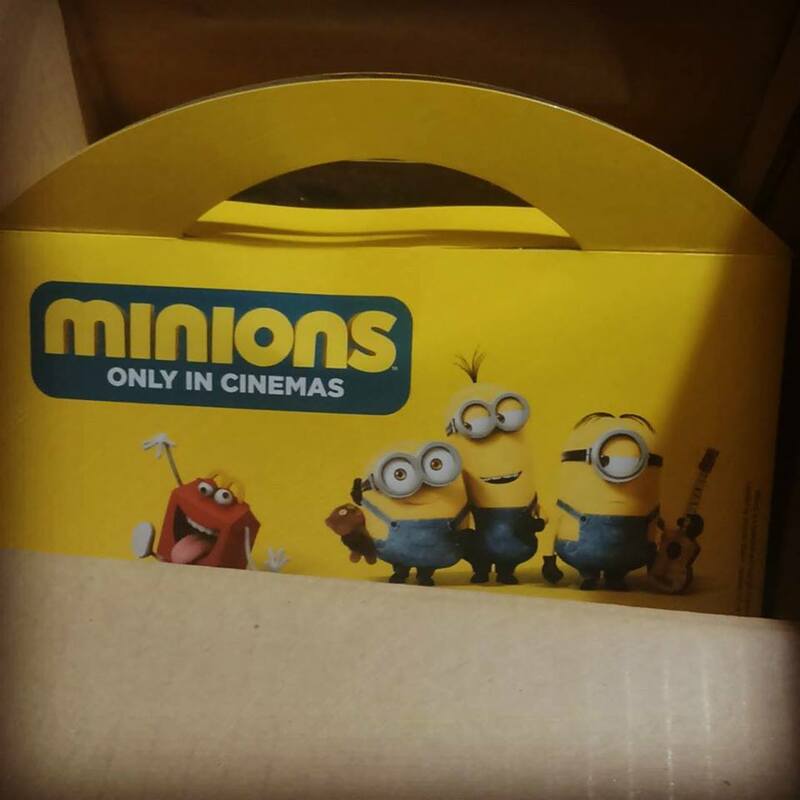 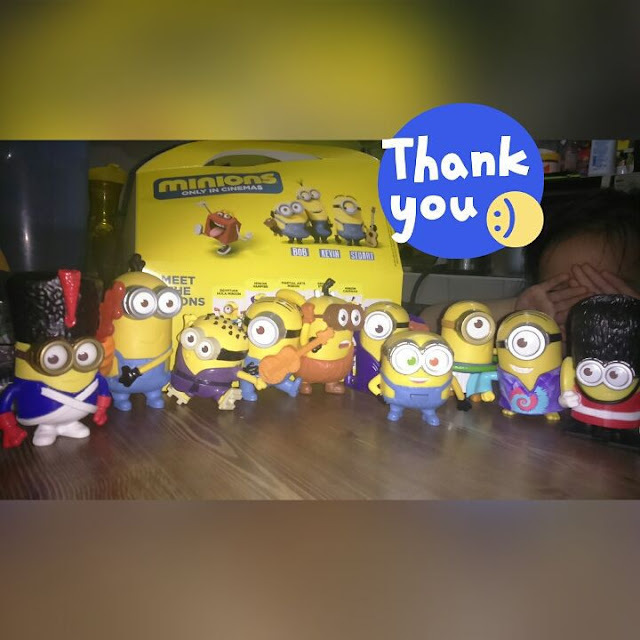 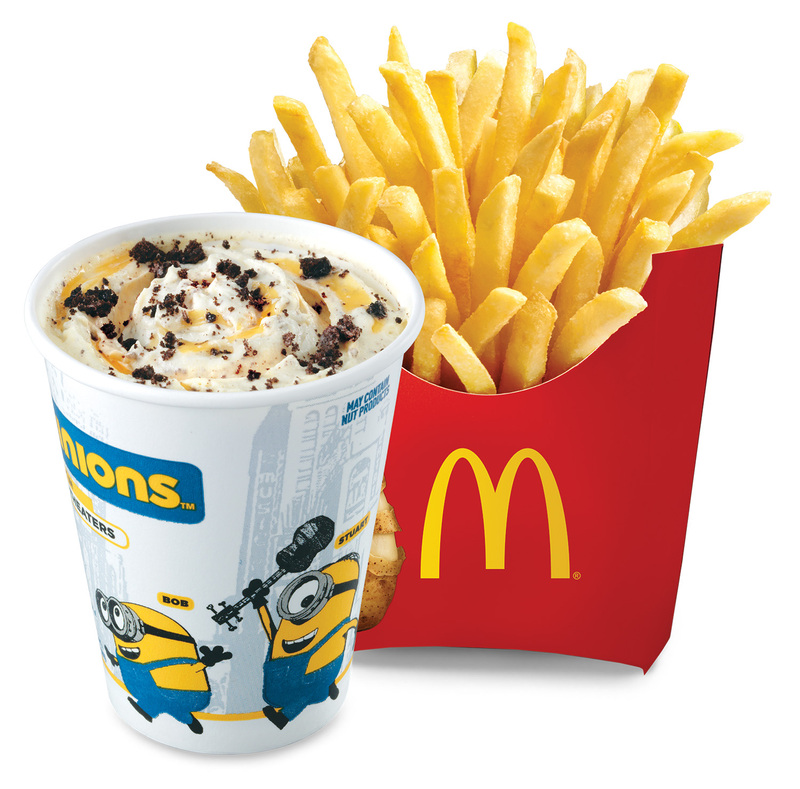 Introducing new Minions Happy Meal and Minions Combos! 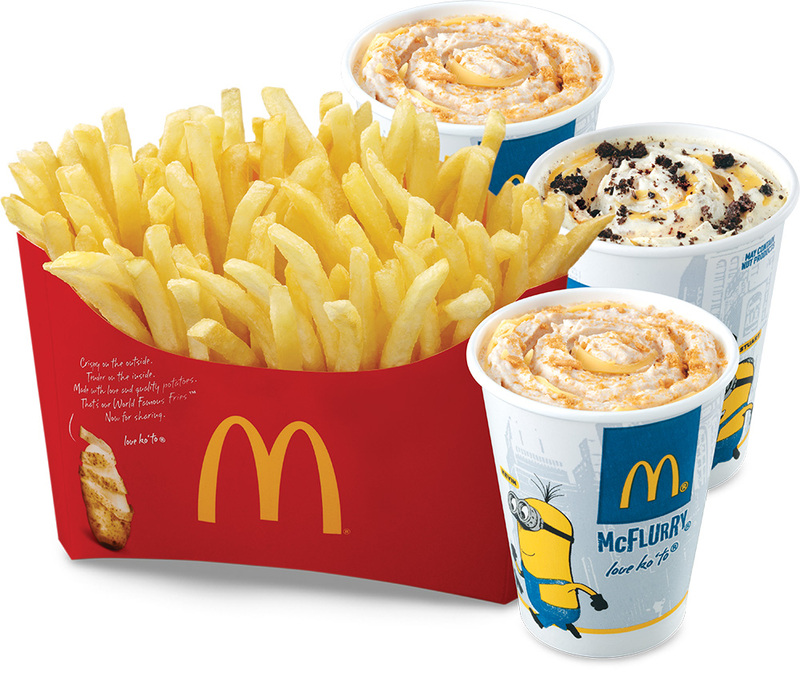 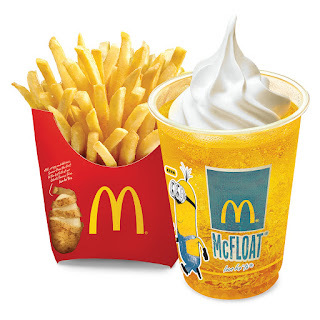 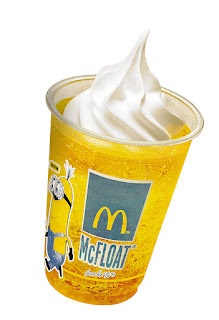 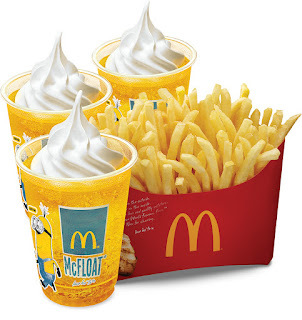 Minions Medium Fries ‘N McFloat Combo Php65. 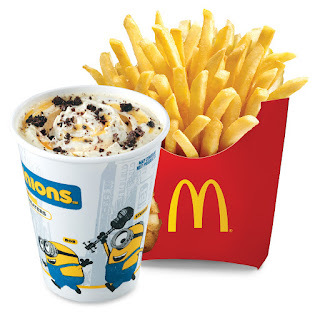 Minions Medium Fries ‘N McFlurry Combo Php95. 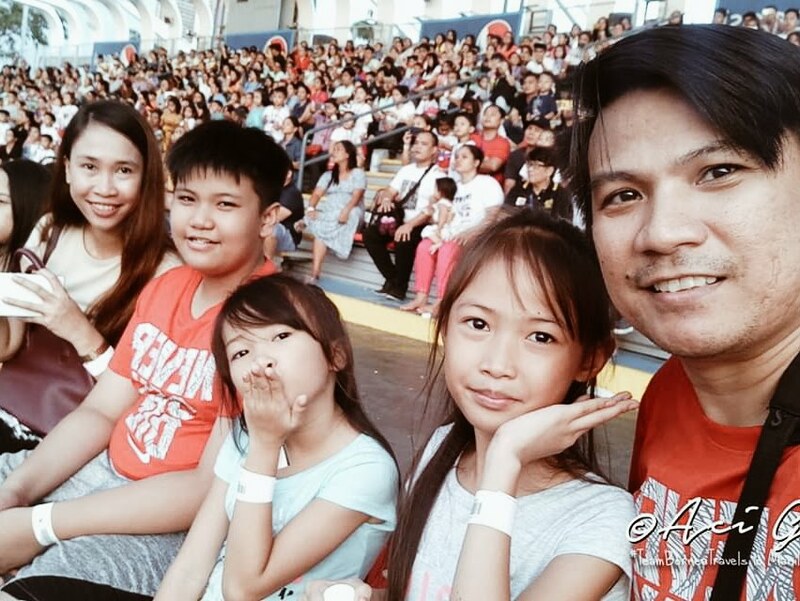 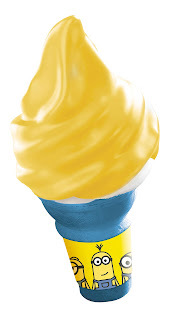 McDonald’s is also introducing the Minions Banana McDip, a delicious vanilla soft serve covered in a banana-flavored dip on a blue wafer cone—one of the cutest dessert items you’ll ever see and taste for only Php15.